As part of my de-cluttering process, I unload a lot of my stuff and random items by selling it on on Ebay. 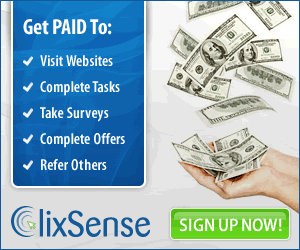 If you have never done it before, you will probably be surprised at how easy it is and how quick you can make a little money. Last time I de-cluttered, I made over $200 for only a few hours worth of time. This is a perfect follow-up to some major closet simplification. So, if you have a few hours of spare time, this may be a good way to make a few bucks. Selling Your Gold? Be Careful! This is a very quick and easy process. 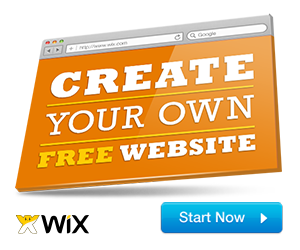 Click here to get started. (This step is optional, but it will probably help) -Small items are fine, anything you can find will work. The reason is that your credibility as an Ebay seller is primarily determined by your feedback score. By purchasing a few items and paying for them quickly, you will be able to get some positive feedback, thus giving you at least a little bit of credibility. Think about it, if you are buying an item wouldn’t you rather buy from a seller has feedback proving that he actually delivered his products rather than a seller who has never used eBay before? I only sell name brand or easily defined unique items. When selling, you have to think like the seller and ask “how would I search for this item?” If the answer isn’t clear, it may not be a good item to sell. For example, I had a pair of fake leather pants (don’t ask) that weren’t a brand that anyone would care about, but I knew that people would be searching for leather pants, because it is such a unique item. Often times buyers will search for a brand name and a size, and this is why brand name items are good to sell. Oh, and I also don’t sell items that aren’t in great condition – you can, but one person’s definition of “small hole in sleeve” can be completely different from another’s. I consider it to be dangerous territory, so proceed with caution. Just FYI, about the fake leather pants, I had gotten them for about $3.00 on a clearance rack and ended up selling them for about $15.00. So, the $12.00 profit helps offset all the harassment I received for owning them in the first place. ? Grab your point and shoot digital camera (if you are still taking Polaroid pictures, then see step #2 and make a digital camera one of your purchases) and start shooting. Use a well lit room, with the simplest, nicest looking background you can find; e.g. a hardwood floor or a plain wall. Take a few pictures of each item and get close ups if needed. 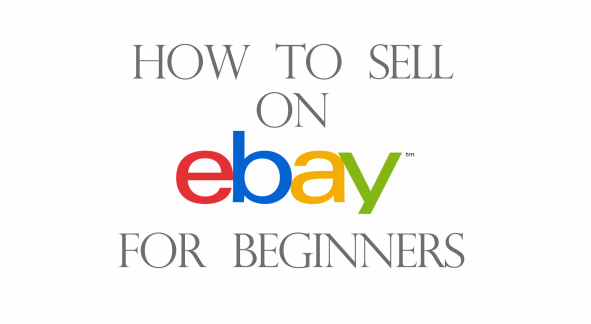 Check out this article for more tips about Ebay pictures. Now you are ready to list your items. I suggest doing all of your listings on the same day. This will enable you to do the shipping all on the same day, eliminating wasted trips to the Post Office. At the time of this writing, if you search for “dress shirt” on eBay it will yield over 12,000 listings. However, if you search for “M banana republic dress shirt blue” we only get 5 results. As sellers, this is what we want – limited competition when people search for our item. If your listing title just said “dress shirt,” then your shirt would now be thrown in the world’s largest bargain bin with 12,000 other shirts for people to dig through. The more detail you put in the title, the easier it is for your buyers to find it. The first picture is free, but Ebay does charge to add additional pictures. I suggest adding at least one additional picture, unless you are convinced that the item doesn’t need it. Buyers like to see products from different angles and with detail. Use the description field to fill in any and all detail that you couldn’t squeeze into the title section. The more detail the better. I learned the hard way when selling my wife’s clothes that a lot of the eBaying women like to know the measurements of each item before bidding on it. Buyers may email you with questions about the product, it is in your best interest to respond quickly to them. They are clearly interested in buying the product, otherwise they wouldn’t have spent the time emailing you about it. You can respond to their questions and see what each item is going for from your Ebay account. Try to get your items shipped ASAP to get positive feedback from your buyers. Look for old boxes (without writing on them) or for some items you can use brown paper bags to package it in. I have had the best luck with the good ‘ol U.S. Postal Service. The standard shipping at that Post Office is almost always cheaper than UPS and FedEx. There are some occasions where this is not the case, but from my experience, the USPS is the best way to go. As with anything, the more you do it, the faster you will get at it. And of course, some items will sell, and some won’t – I just give the unsold items to Goodwill. Good luck! !